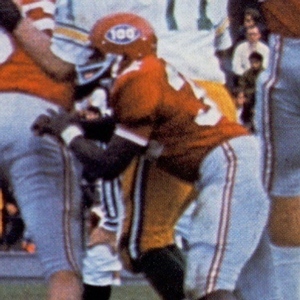 The 1969 season’s uniform was highlighted by its crimson helmet that had a blue “100 Anniversary Of College Football” decal on the left side only. 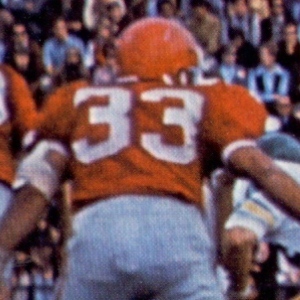 After winning the opener vs. Illinois, the Cougars dropped nine straight and the defense remained a problem despite the play of All Conference DB Lionel Thomas. DE Hugh Klopfenstein was moved to TE and “Baby Bull” Bob Ewen played at a high level at TB but there was little positive to point to going into 1970 and Sweeney was 2-19 in his first two seasons.